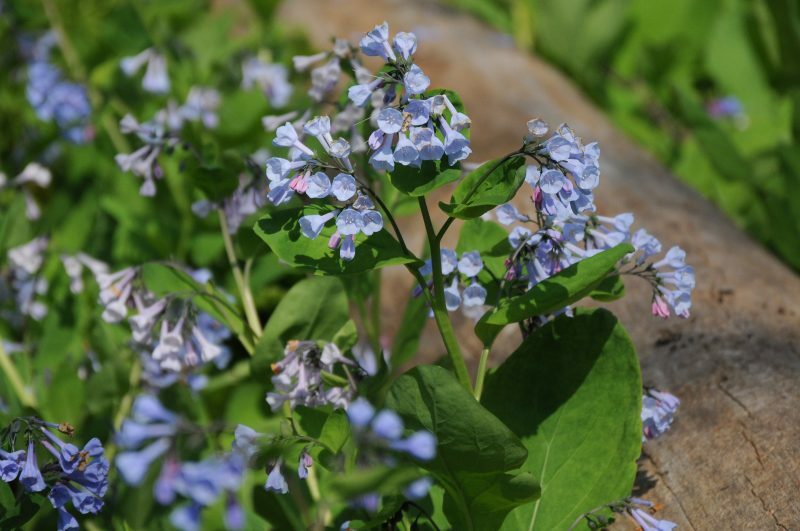 As with most ephemerals, Virginia Bluebells (Mertensia virginica) spreads easily through its root system to fill large areas. Relatively large, the plants emerge very early and fade away completely by the end of spring. Technically speaking, ephemerals are not shade-loving plants, even though the dappled shade of the woods is their home. These woodland natives respond to the light and warmth of the springtime sun to begin their cycle of blooming, pollination, and setting seed — all of which take place after the snow melts, yet before the trees leaf-out. Once the weather warms and shade dominates the woodland, these early spring wildflowers die-back and retreat underground until the next year. Some ephemerals have foliage that persists beyond spring, with die-back occurring later in the summer — Bloodroot, Mayapple and Early Meadowrue all stay visible through midsummer — but eventually they too fade away. 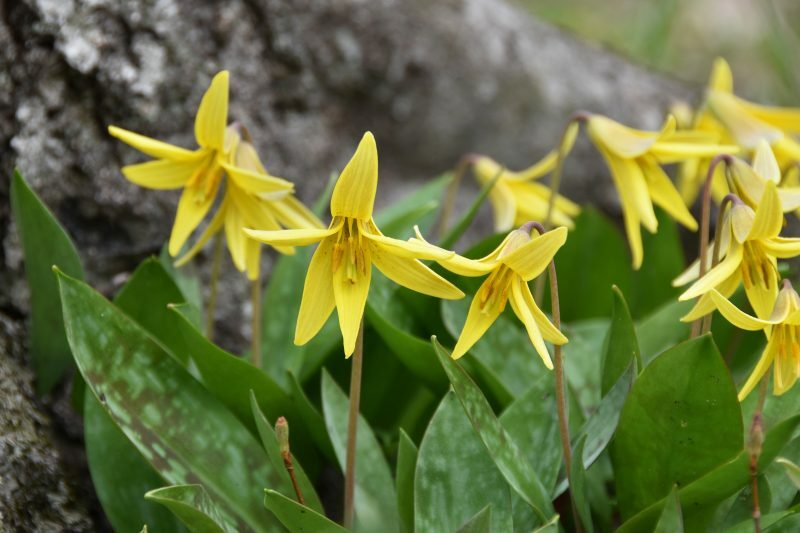 Spring ephemerals can be planted in early fall while the soil is still warm, or early in the spring. Spring installations will have some time to develop before summer dormancy, but will rarely produce any flowers during their first year. An early fall planting allows the roots time to establish properly before winter, and gives the plants a stronger start the following spring. Either of these timeframes will be successful, but in either case, the plants need time to establish before bestowing their gifts. Woodland ephemerals should be planted near or around deciduous trees, in rich moist soil. The fallen leaves of deciduous trees are part of the environment that allows these plants to thrive. Leaves are important to the soil nutrition, soil moisture, and for maintaining an even ground temperature in the winter. The leaf litter also provides the right environment for the insects that pollinate and spread the seeds. Because they require sunlight in the spring, we advise against planting ephemerals along the north side of buildings where it is difficult to receive adequate warmth or sunlight in the spring. Because spring ephemerals quickly disappear after they’ve bloomed, they need companion plants that can carry on the show through summer and prevent weeds from settling in. Other shade perennials which emerge after the ephemerals — such as Ferns, Wild Ginger and Big Leaf Aster — are popular choices. White dolls eyes and Red Baneberry and Blue Cohosh are also good company for ephemerals. Plant division is a common way to increase the number of plants, and it speeds the process of spreading the colony over a larger planting area. Ephemeral wildflowers are not as deeply rooted as prairie wildflowers – so they are easier to dig and divide. When plants are fully established they will start to expand and spread on their own. At that point it should be safe to divide them. Before beginning a plant division, familarize yourself with the type of root system of your targeted species, then dig and transplant them accordingly. The root type of each species we sell is indicated on our website. The time to divide ephemerals is when the bloom has past and the plant is starting to fade for the summer. Dividing in early autumn or late summer is also possible, but it has its challenges. If you plan to divide in fall, it’s important to mark the locations of your target plants during the spring, so that you’ll know exactly where to dig come fall. When dividing ephemerals be sure to replant the divisions quickly – don’t let them dry out. And water them well when you’re finished. Newly divided plants usually don’t bloom well the first year – so give them a couple of years after division to become established and bloom. 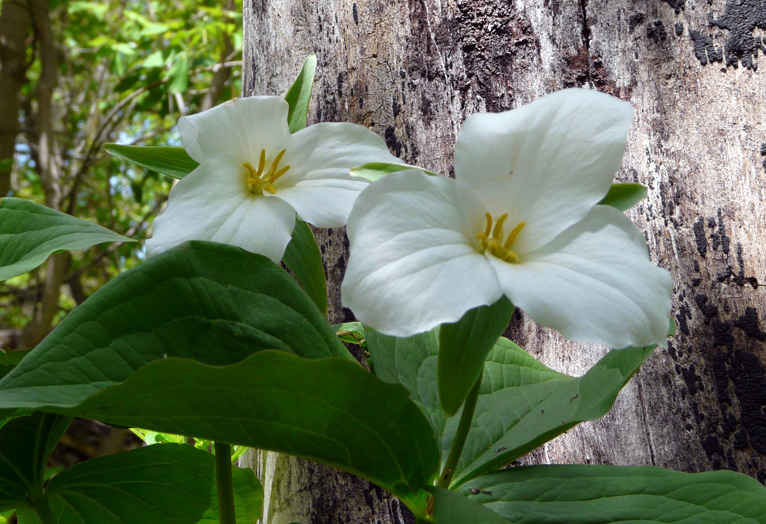 Large Flowered Trililums (Trillium grandiflorum) are easy to grow, but they take a few years to mature and begin to spread.